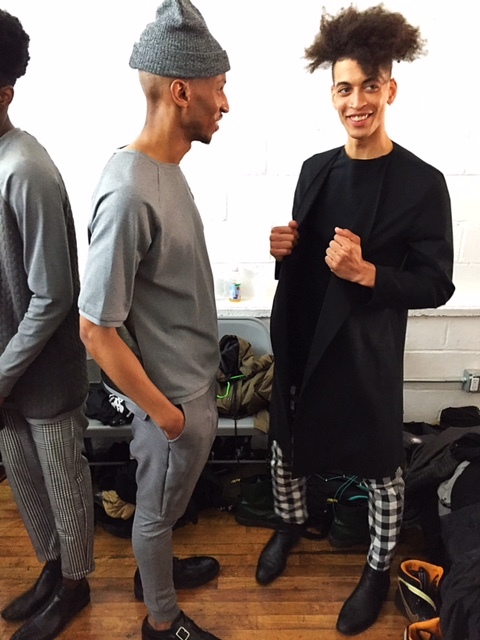 Last weekend in Brooklyn I experienced a wonderful presentation of menswear for Fall 2016, by a very special designer. 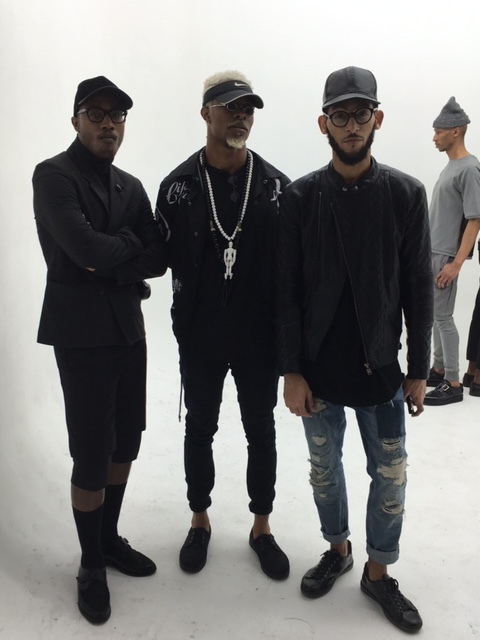 Mr. Sergio Wonder, my former design partner on the highly successful and innovative custom-made jewelry and accessories line “Sergio + James” debuted his second consecutive clothing presentation among 5 other designers, in a showcase curated by our good friend Curtis Bryant. Sergio’s aesthetic stems from his incredibly deep and complex love for Fashion, and the art of presentation on the human form. When we worked on the design concepts for Sergio + James, I was continuously awed and dazzled by his love of fabric selection, research, and of course the design process itself. This collection showcased for Fall 2016 revealed both an expert attention to detail and a touch of urban sophistication in the form of tailored cotton bomber jackets with hand worked knit detailing, to tapered black & white cotton checked-pattered pants worn under a black knit tee topped off by a black cotton collar & button-less jacket. Two of my favorite looks. Fifty Shades of Chic was the vibe here. The main idea presented in Sergio’s collection is a simple concept of utility and wearability, so often lost in independent designers so set in the conviction of bold statement pieces to garner press. He achieves this soft yet modern take on classic looks with various pocket details, pleated shorts, and 4 pocket trousers that create a uniformity to the collection. The more whimsical pieces like the bomber jackets, grey knit and jersey sleeve crew neck pull overs and long sleeve black & white jumpsuit, with pleats are fresh and modern urban chic silhouettes that are right on par with the current “revolution” as its been described of new, different and exciting shapes in menswear. 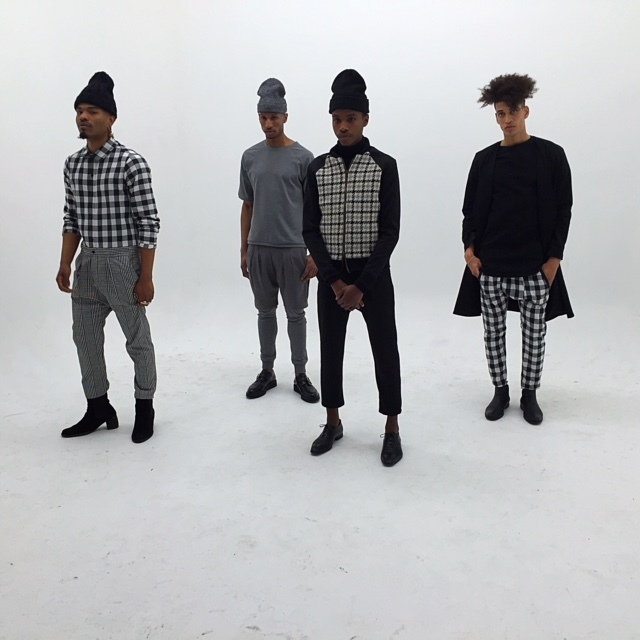 Form & Function presented in the balance menswear presentation at Sergio Wonder Fall 2016. This color scheme of mostly black, white, and grey is simple yet incredibly powerful in its ability to reveal Sergio’s tailoring skills. Custom hand worked jewelry to jumpsuits and bomber jackets, his talent has without a doubt sharpened with time and it was an honor to witness the wonderful expression of said skills. The black cotton and knit zip bomber jacket that I absolutely fell in love with, paired with black cropped pants featuring a black side leg stripe. Sergio with two of the shows models. The entire presentation was quite poetic and fresh, and a well received display of tailoring, craftsmanship and passion by a very talented young artist. 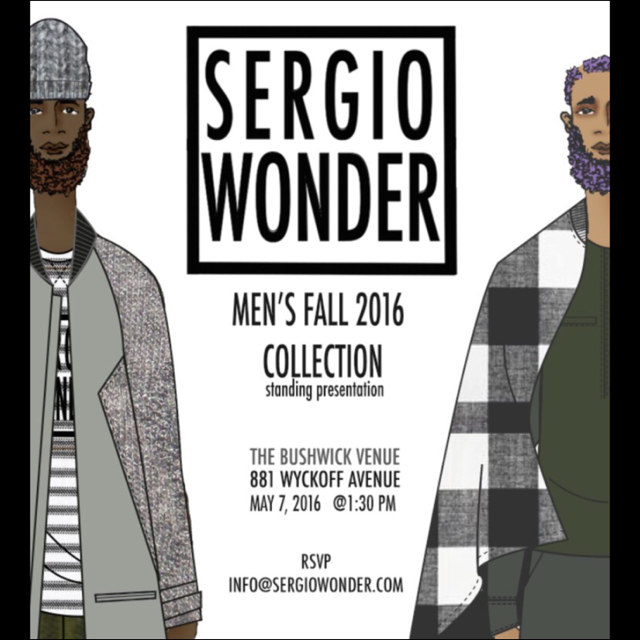 Sergio’s collection was debuted during Brooklyn Fashion Week 2016, which seemed to magnetically attract a colorful and fabulously unique flock of artist, designers, makeup and hair stylists, musicians and the like to Bushwick last Saturday afternoon. There was even a reunion with one of our most passionate patrons to our former jewelry collection, Mr. Michael Ibidapo who wore his custom-made black & white, “Jo” necklaces backstage and posed for a photo with myself and Sergio. 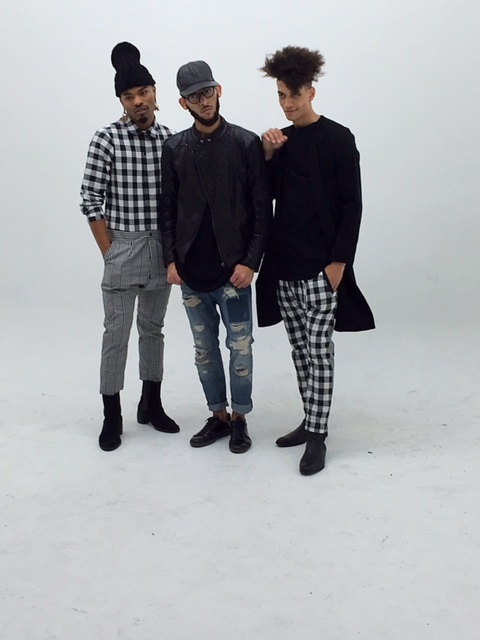 James Field, Michael Ibidapo & Sergio Wonder, after the presentation of the Fall 2016 Menswear collection. A special thanks and Congratulations to our good friend Curtis Bryant who curated the 6 show designer showcase, doing a wonderful job of getting such great talent together and it was a pleasure to see Sergio and everyone that attended for gathering of superb young talent.